Photo by Robb Thompson / Courtesy City of Vernon Fall travel is full of perks. Crowds have thinned out since the hot days of summer, kids are back in school and colour-shifting foliage makes for breathtaking scenery. The weather is still mild and the harvest brings an abundance of beautiful food. 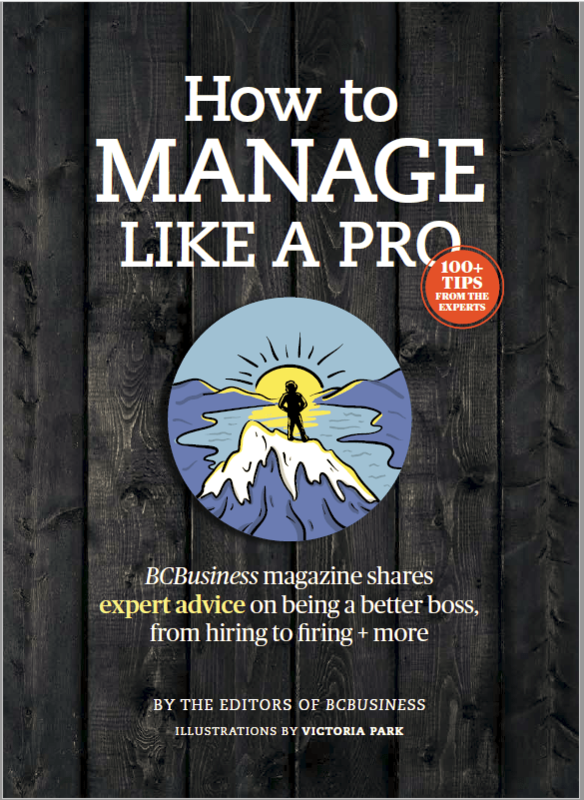 Whether it’s golf, outdoor adventure, wine tours, or pure pampering, B.C. offers all kinds of weekend getaways for every kind of traveller. The hub of the North Okanagan, Vernon is surrounded by rolling hills, a trio of lakes, and five provincial parks, including SilverStar Mountain Resort, home of the ski resort known for its hiking trails and Champagne powder and Sparkling Hill Resort, Canada’s premiere wellness spa. 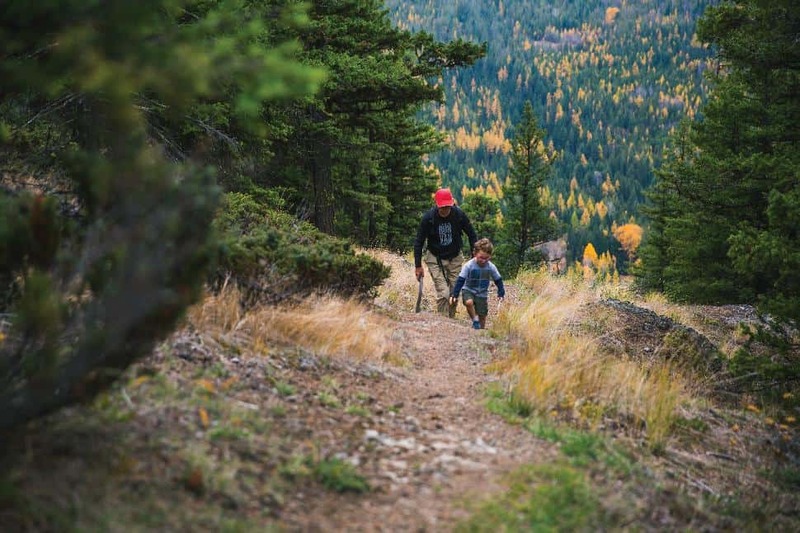 With orchards, farms and award-winning wineries, the community is newly part of the Sagebrush Singletrack, a multi-destination mountain biking corridor that offers a diversity of trails and terrains from Penticton to Kamloops. Photo Robb Thompson/Courtesy City of VernonThe Vernon Fall Festival runs for the whole month of October, featuring everything from U-pick pumpkin tours at Davison Orchards Country Village to wild-mushroom tours. 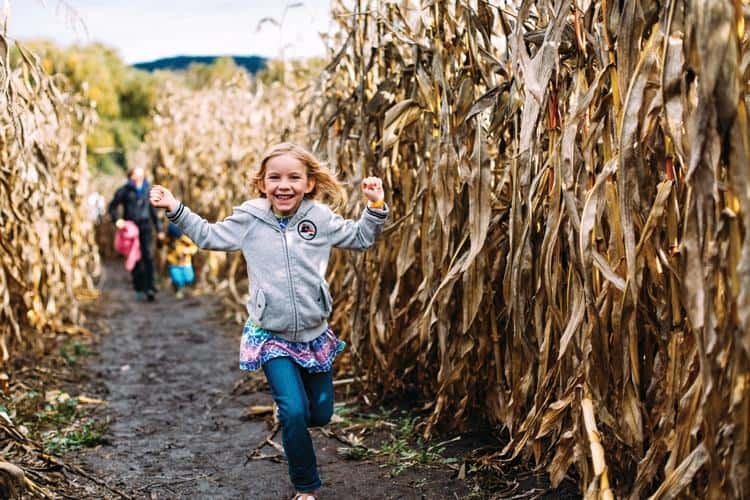 The historic O’Keefe Ranch, founded in 1867, has a family-friendly, twisty-turny corn maze, while adults will never look at a scarecrow the same way again after navigating the three haunted mazes that make up its Field of Screams. New this year, experience a flight demonstration and close-up personal encounter with raptors at the Allan Brooks Nature Centre and a South Asian Dawali Festival at the Vernon Performing Arts Centre. Dining in Vernon features plenty of locally grown and artisan crafted foods, and a diversity of ethnic dining experiences to tempt your taste buds. As the Okanagan’s oldest community, Vernon has Japanese, Filipino, Mexican, Korean and other restaurants making up its diverse dining scene. Autumn’s crisp days are prime time to follow the Libations Trail, with sips at BX Press Cidery and Orchard, Marten Brew Pub, Honeymoon Meadery, Okanagan Spirits Distillery, and the Scenic Sip — Lake Country wineries and more to the north in Armstrong and the Shuswap. The first weekend in November is the Cheese—It’s a Natural festival in Armstrong, giving people a chance to experience Vernon-area cheese producers, such as Triple Island, a working farm, and Bella Stella Cheese. Along the way, pick up some cured meats and preserves from so many culinary artisans for a hyper-local charcuterie platter. A gorgeous five-hour drive from Vancouver or a short drive from the Kelowna Airport, Predator Ridge might be best known as a golf destination, and for good reason: it’s home to two 18-hole championship courses along with a world-class practice facility just outside of Vernon. But it’s much more than that. With a 1,200-acre backyard, the resort offers an unparalleled vacation experience. 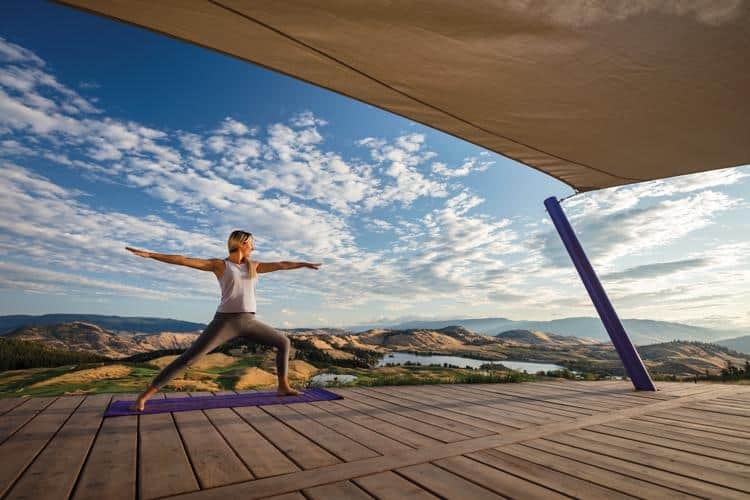 Think outdoor yoga classes with sweeping views, spin and Pilates classes, fitness facilities, pool and hot tub, fine wine and gourmet food, luxurious accommodations ranging from condos to villas, and more. Then there’s nature — such easy access to so much glorious outdoors. Photo courtesy City of Vernon“We have 36 kilometres of world-class hiking and biking trails,” says Richard Zokol, golf and real estate specialist at Predator Ridge and two-time PGA tour champion. “In the fall, the mornings are cool and the afternoons are warm; there’s this instinctual pull to go outside, whether it’s golfing, hiking or cycling to wineries in our area. You breathe in all that fresh and clean air. The resort has 12.5 kilometres of bike-specific trails a with a connector leading to more than 40 kilometres of trails at Ellison Bike Park; rent an e-bike, mountain bike, or crosstrail fitness bike to explore the stunning surroundings. A shuttle will take to you and from the newly opened Okanagan Rail Trail, just five minutes away. Fifteen minutes away is Lake Country’s Scenic Sip, a group of world-class wineries. Rental-style accommodations combine elegance and comfort in spaces ranging from 500 to 1,500 square feet. All have full kitchens, balconies and fireplaces, with pet-friendly alternatives. Right on site are several food and dining options that celebrate all that’s local, fresh and in season. Range Lounge & Grill offers a farm-to-fork experience and Ocean Wise seafood in an upscale casual setting, while pizza, pasta, antipasti and slow-roasted meats are on the menu at the fast casual Italian themed Pallino’s. If cozying up inside your suite is in store, Commonage Market carries locally produced breads, chocolate, salsas, spreads, charcuterie cheeses and meats, and more; it also offers premium Okanagan wines, craft beer and spirits. While some West Coast resorts offer “peekaboo” water views, Painted Boat Resort Spa and Marina on the Sunshine Coast is unique: each of the 30 villas is a waterfront unit with beautiful harbour vistas. Located in the village of Madeira Park in Pender Harbour, Painted Boat is a 20-minute floatplane ride from downtown Vancouver or a two-hour trip by car and ferry. It feels a world away, however, and the sense of relaxation sets in the minute you head that direction. “It’s the perfect weekend destination because it’s so close to Vancouver, and the views from the ferry, even if you’re a local, make you take a deep breath in awe and appreciate the beauty of B.C. The views are amazing,” says Walter Kohli, CEO of SOFIEN Management at Painted Boat. “We can all use that ferry journey to transform ourselves. 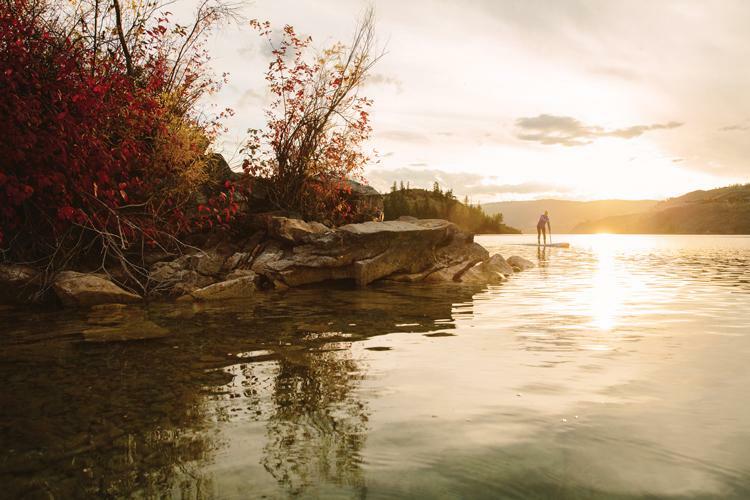 “In the fall, it’s a little quieter; you don’t deal with the July and August ferry traffic, but it’s still warm enough to go outdoors and enjoy the kayaks and paddleboards or visit provincial parks. It’s serene. We all need reflection to nurture our internal life, and our fall is a wonderful time to do that.” The Painted Boat, with it’s meeting room and popular Lagoon Restaurant, is also an ideal destination for corporate leadership retreats. Rugged black-rock shorelines make shoulder-season “storm watching” especially dramatic in Ucluelet, on Vancouver Island’s stunning west coast. Surrounded by emerald, old-growth forest with sweeping views of vast, open ocean, Black Rock Oceanfront Resort is a window to nature’s unfolding. Visitors can take it all in from an inspiring hike along the winding Wild Pacific Trail right outside their door, by visiting Pacific Rim National Park nearby or while relaxing in a sumptuous soaker tub or outdoor hot tub with views of the rolling Pacific. Suites come with kitchenette or kitchen, gas fireplace, flat-screen TV, rain showers and comfy, furnished balconies. Wild, organic seaweed products from Vancouver Island infuse rejuvenating treatments at Drift Spa. The Fetch Restaurant focuses on artisanal, West Coast ingredients, while the fireside Float Lounge offers creative cocktails, special coffees and a full wine, beer and drinks list to go with inspired appetizers. At every turn, cozy sophistication meets nature’s elements.